We aimed to investigate whether frequency of sauna bathing is associated with the levels of serum C-reactive protein. C-reactive protein is a leading blood marker of systemic inflammation. The study consisted of 2084 men (42–60 years) without acute or chronic inflammation. A total of 533 (25.6%), 1368 (65.6%), and 183 (8.8%) participants reported having a sauna bath once a week, 2–3 times, and 4–7 times per week; mean serum C-reactive protein levels were 2.41 (standard deviation 2.91), 2.00 (2.41), 1.65 (1.63) mmol/L, respectively. 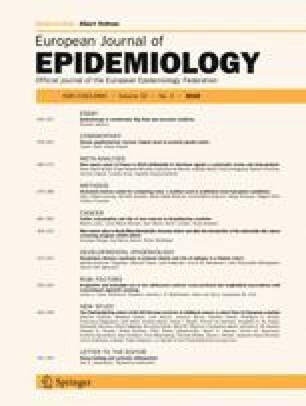 In a multivariable analysis adjusted for baseline age, body mass index, systolic blood pressure, smoking, type 2 diabetes, previous myocardial infarction, and serum low density lipoprotein cholesterol, alcohol consumption and physical activity, there was a significant inverse association between the frequency of sauna bathing and the level of C-reactive protein. Further studies are warranted to investigate the relationship between sauna bathing and systemic inflammation. This study was supported by the Finnish Foundation for Cardiovascular Research, Helsinki, Finland. We thank the staff of the Kuopio Research Institute of Exercise Medicine and the Research Institute of Public Health, and University of Eastern Finland, Kuopio, Finland, for data collection in the study.